New Traffic Signals Coming to Doral! The hard work has paid off as today the Joint Participation Agreement between the City of Doral and Miami-Dade County has been approved by the Miami-Dade Transportation and Public Works Committee for the construction of traffic signal devices. 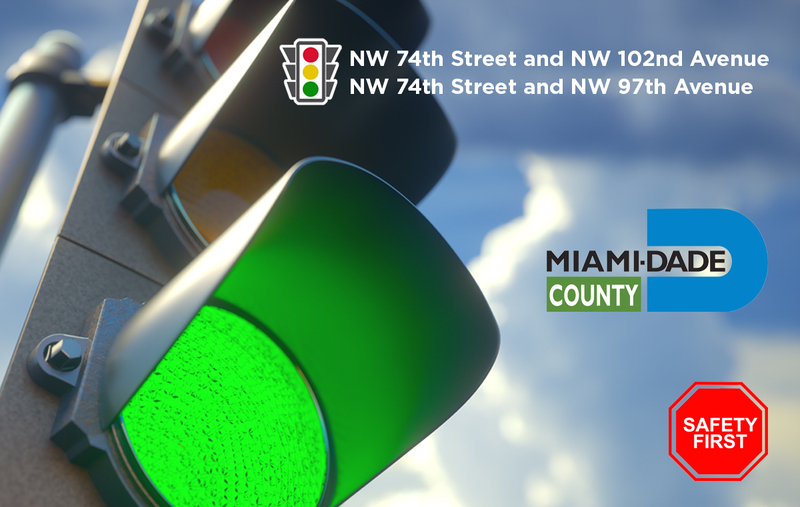 Many people may not know that all the traffic signals in Doral are owned and maintained by Miami- Dade County. That is why this collaboration is integral in adding these signals to make our streets safer and help alleviate traffic congestion. To stay up-to-date on this and other important projects, make sure to follow us on Facebook, Twitter and Instagram (@cityofdoral) !